These are nearly impossible to find – but they exist! They are the white whale of mystery shopping. People troll the internet searching for these elusive shops and the mystery shopping companies that offer them. Don’t be fooled – these are difficult assignments to complete. There is a lot of narrative writing and intense observations. If you think you are up to the task, you will find yourself enjoying one of the most plum assignments in the mystery shopping companies arsenal. If you receive this mystery shopping job, you will most likely be reimbursed for a two passenger cruise, expenses, and a generous fee for completing the report. Coyle Hospitality is known to have these types of assignments. A novice shopper will have to prove themselves with this company before they will even get a hint from a scheduler that these exist. This are highly desired mystery shopping jobs, especially the high-end ones. Many mystery shoppers report staying in hotels that range from $200-$400 a night. Meals in the hotel restaurant, tips, hotel parking, and other hotel expenses are usually reimbursed with this type of mystery shopping job. You usually must make observations from the minute you step onto the hotel property until you drive off after completing your stay. Most hotel mystery shopping jobs will require detailed narrative and lots of photo documentation. Some companies that are known to offer hotel shops are A Closer Look, Intellishop, and Coyle Hospitality. Since these assignments are in such high demand, most mystery shopping companies will not advertise them on their job boards. These mystery shopping jobs will be offered only to shoppers who have a proven track record. Wouldn’t it be great to be able to gamble your money away and then get reimbursed for your expenses? Yes it would, and casino mystery shopping jobs let you do just that. The reimbursement is not unlimited, so accept these mystery shopping jobs only if you have some self-control when it comes to gambling money. Some casino shops observe only the service in the gaming areas. Other shops include every bit of the casino experience including a hotel stay, a concierge visit, the players club desk, and casino restaurant. You will most likely be required to stay a certain amount of time in the gaming area with set reimbursement limit. If you win money, you will most likely get to keep it – but read your shop guidelines! 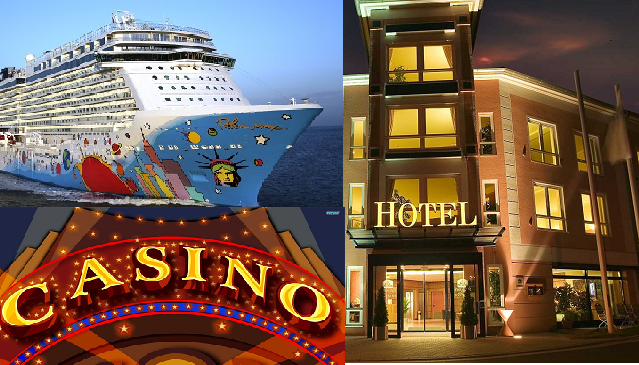 There may be certain types of winnings you forfeit while you are shopping the casino. Bestmark has been known to offer Casino assignments. The best mystery shopping jobs go to mystery shoppers who have a track record with the companies. Make sure you sign up for as many companies as possible to get notified of the jobs they have available. You may have to complete some low paying assignments before you get to see the top jobs. Good Luck!